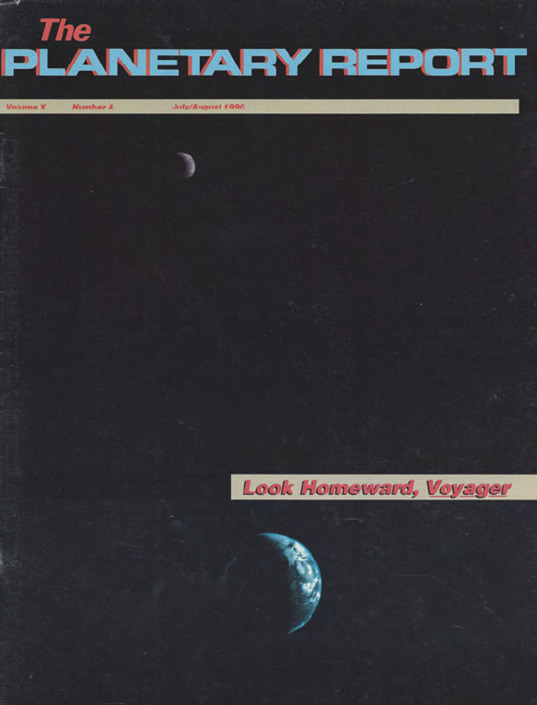 On the Cover: From this early portrait of Earth and its Moon together; to thousands of images of the outer planets, their rings and satellites; to the family gallery of Sun and planets that closed out its imaging mission, Voyager has done more than any other spacecraft to show us our place in the solar system. Voyager 1 took this image on September 18, 1977, 13 days after it was launched. 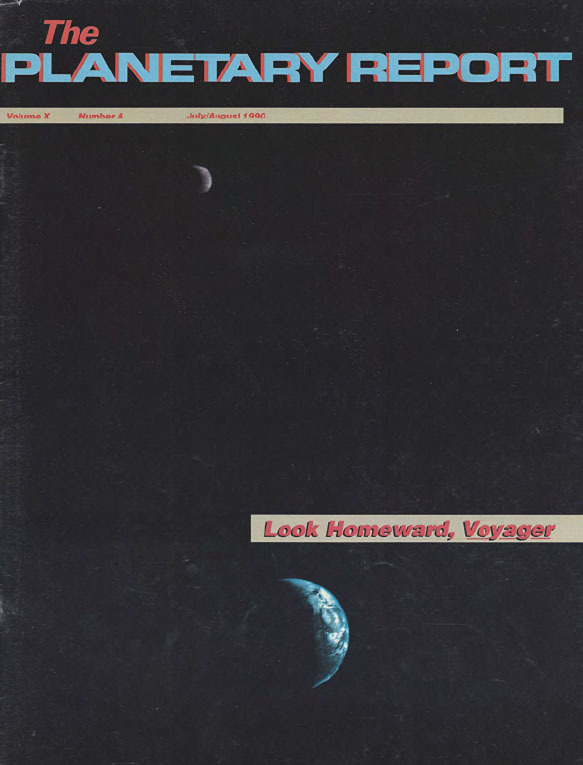 Nearly 13 years later, on February 14, 1990, it looked back toward Earth again, and returned a series of images of the planets that we feature in this issue. 4 From the Moon Rover to the Mars Rover: Alexander Kemurdjian summarizes Soviet efforts to create unstoppable rovers for exploring other planets. 12 The Family Portrait: A number of Voyager team members combine their talents to bring us a stunning never-before-seen view of our solar system—and our place within it. 18 Pushing Back the Frontier: A Mission to the Pluto-Charon System: Robert Farquhar and S. Alan Stern explain why we should go to the farthest planet in our solar system. 3 Members' Dialogue SETI, space exploration, and human missions to Mars. 24 World Watch Space 90, Mars '94, and the USSR human spaceflight program. 25 Society Notes Contest winners, Mars Balloon project, and a new exhibit at the National Air and Space Museum involving The Planetary Society. 26 Spark Matsunaga: 1916–1990 A tribute by Harvey Meyerson. 27 News & Reviews Penetrating Titan's smog layer. 28 Q&A What is the danger of meteor showers destroying a Moon base?